Kenneth Ray Davis (78) passed from this life on March 25, 2019 in Antlers, Oklahoma. He was born December 31, 1940 to Tut Davis and Sabra (Rogers) Davis in Springlake, Texas. 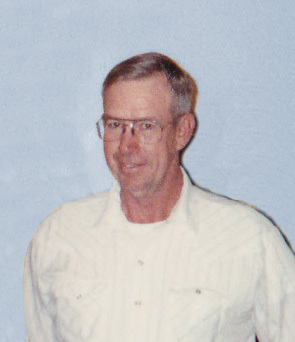 Kenneth was a resident of the Antlers area since 1951. He enjoyed hunting, watching chicken fights, and watching westerns. He is preceded in death by his parents: Tut and Sabra Davis; sister: Billie Jean Davis; and grandfather: AJ Davis. Kenneth is survived by his son: Tut Davis of Antlers, Oklahoma; sister: Peggy Reich and husband Virgil of New Orleans, Louisiana; and grandchildren: Christy Nurnberg and Russell Keller of Antlers, Oklahoma, along with a host of other family and friends. Services for Kenneth will be held Thursday, March 28, 2019 at 2:00 PM at the Serenity Funeral Service Chapel. Family night will be Wednesday, March 27, 2019 from 6:00-7:00 PM. Services have been entrusted to Serenity Funeral Service.